In the State of Indiana during the 1980s, Gary Roosevelt could not be topped in boys high school track and field. From 1981 to 1989, the school won every state title under legendary coach John Campbell. Roosevelt has won a record 20 state track titles in Indiana, while the now-closed Gary Frobel is second with 14. Gary West Side has won six championships, while Gary Horace Mann won four and Gary Tolleston took the top spot once. Mann and Tolleston are also closed down. But the Roosevelt track teams of the 1980s were unbeatable, and the trophy case shows their dominance. The track portion of track of field awards points are based on how fast runners can get from point A to point B. It’s similar to NASCAR racing. And much like Roosevelt in the 1980s, Kevin Harvick is unbeatable at ISM Raceway near Phoenix. He hasn’t won nine consecutive races, but he has dominated the mile oval in the desert. Harvick, driver of the No. 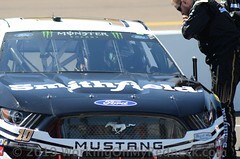 4 Jimmy John’s Ford Mustang for Stewart-Haas Racing (SHR), has a series-high nine career Monster Energy NASCAR Cup Series wins at Phoenix to top a list that shows Jimmie Johnson next-best with “just” four career wins. Harvick has two Busch poles, 16 top-five finishes, 22 top-10s and has led a total of 1,595 laps in his 32 career NASCAR Cup Series starts at Phoenix. He has won seven of the last 13 NASCAR Cup Series races at Phoenix and is the only driver to win four in a row. He won the November 2013 race, swept the 2014 races and won in March 2015 before ending his streak with a runner-up finish in November 2015. Only five drivers have won consecutive NASCAR Cup Series races at Phoenix and Harvick is the only driver to win consecutive races twice. Harvick also swept both races in 2006. Harvick has scored a perfect 150.0 driver rating at Phoenix on three occasions. His first was in November 2006, when he started second, led 252 of 312 laps and reached victory lane. His second was during his November 2014 win, when he started third and led 264 of 312 laps. His third came during his March 2015 win, when he started first and led 224 of 312 laps. In the 1980s, when other schools raced against the Gary Roosevelt High School Panthers, they knew that they would be freaky fast. Just like the NASCAR competitors know that Harvick is also freaky fast. What’s the most difficult thing about racing at Phoenix? When you go to Phoenix, are you trying to win or are you trying to survive? 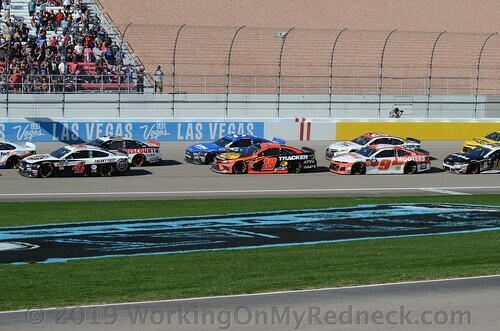 Last week at Las Vegas was the first real test for the new rules packages. What are your thoughts on it? To the layman, what is the difference between the rules package that we saw at Las Vegas and what we are going to see at Phoenix? Dynamic Duo: While this is Harvick’s 19th year in the Monster Energy NASCAR Cup Series, it’s his sixth with crew chief Rodney Childers. Since joining forces at Stewart-Haas Racing (SHR) in 2014, Harvick and Childers have combined to produce 22 points-paying victories, a victory in the non-points-paying 2018 Monster Energy NASCAR All-Star Race at Charlotte (N.C.) Motor Speedway, 20 poles, 96 top-five finishes and 129 top-10s while leading 8,788 laps. They won the 2014 championship, finished runner-up in the 2015 title chase to champion Kyle Busch, finished eighth in 2016 and third in 2017 and 2018. 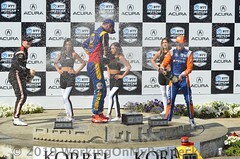 The team has qualified for the Championship 4 at Homestead-Miami Speedway four times in the last five years. Harvick has career totals of 45 wins, 26 poles, 193 top-fives, 338 top-10s and 13,214 laps led in649 starts. His most recent Cup Series win came six races ago at Texas Motor Speedway in Fort Worth (Nov. 4, 2018). His last Busch Pole came one race ago at Las Vegas Motor Speedway (March 1, 2019). Points Position: Harvick arrives at Phoenix second in the NASCAR Cup Series standings with 131 points, only two markers behind leader Joey Logano. Harvick in the Monster Energy Cup Series at Phoenix: The TicketGaudian 500k will mark Harvick’s 33rd career Cup Series start at Phoenix. 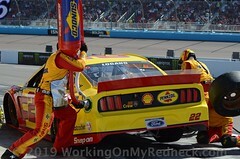 He has nine wins, two Busch poles, 16 top-fives, 22 top-10s and has led a total of 1,595 laps in his 32 career NASCAR Cup Series starts at Phoenix. His average start is 15.2, his average finish is 9.3 and he has a lap-completion rate of 99.8 percent (9,965 of 9,987) laps available. Laps Led Since 2014: Harvick has led 8,788 laps in 183 races since joining SHR in 2014. That’s an average of 48.02 laps led per race. Topping the All-Time NASCAR Cup Series Win List at Phoenix: Harvick’s series-high nine career NASCAR Cup Series wins at Phoenix tops a list that shows Jimmie Johnson next-best with four career wins, followed by Davey Allison, Jeff Burton, Kyle Busch, Dale Earnhardt Jr., Jeff Gordon, Carl Edwards, Mark Martin, Matt Kenseth and Ryan Newman with two wins each. Winner of Seven of the Last 13 at Phoenix: Harvick has won seven of the last 13 NASCAR Cup Series races at Phoenix. 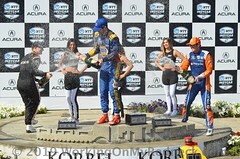 He is the only driver to win four in a row. He won the November 2013 race, swept the 2014 races and won in March 2015 before ending his streak with a runner-up finish in November 2015. Johnson is the only other driver with a three-race streak at Phoenix when he won the November 2007 race and swept the 2008 races. Only five drivers have won consecutive NASCAR Cup Series races at Phoenix and Harvick is the only driver to win consecutive races twice. Harvick also swept both races in 2006. Perfection at Phoenix: Harvick has scored a perfect 150.0 driver rating at Phoenix on three occasions. His first was in November 2006, when he started second, led 252 of 312 laps and reached victory lane. His second was during his November 2014 win, when he started third and led 264 of 312 laps. His third came during his March 2015 win, when he started first and led 224 of 312 laps. Jimmy John’s: Jimmy John’s, maker of gourmet sandwiches with “freaky fast” delivery since 1983, is the primary sponsor of the No. 4 Ford Mustang for eight NASCAR Cup Series races in 2019, including this weekend at Phoenix. Harvick’s Happy Hours on SiriusXM Radio: Harvick is entering the third year as the co-host ofHappy Hours on SiriusXM Radio channel 90. The show debuted March 28, 2017 and airs on Wednesdays from 1 to 3 p.m. EST, featuring Harvick’s distinctive perspective on the sport and life outside the track. Harvick and co-host Matt Yocum take calls from listeners and give NASCAR fans a unique view on the driver’s life and interests when he is away from the racecar. Harvick the Broadcaster: Harvick will once again appear in the television booth for FOX at select Xfinity Series races in 2019. 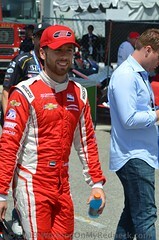 He will do seven races this year, including this week’s race at Phoenix. 106 and Counting – Harvick scored his 100th career win in NASCAR’s top three series when he won the Cup Series race at Las Vegas in March 2018. He now has 106 total victories after his most recent Cup Series win in November 2018 at Texas – 45 in the Cup Series, 47 in the Xfinity Series and 14 in the Gander Outdoors Truck Series. Only three other drivers in NASCAR history have passed 100 wins in NASCAR’s top three series: Richard Petty, Cale Yarborough and Busch.